Human Chain Protest at Lalbagh Today, 6 pm. Earlier this week(April 13 and 14), the Bangalore Metro Rail corporation (BMRCL) has demolished over 500 feet of Lalbagh’s wall and cut down 5 eucalyptus trees inside Lalbagh. BMRCL proposes to have a Metro station inside Lalbagh itself – Bangalore’s distinctive botanical garden! 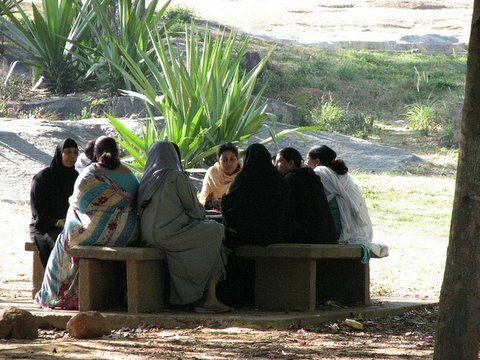 Lalbagh is protected by a separate, stringent law. In a highly undemocratic move, the Karnataka Government changed the law by moving an ordinance to acquire Lalbagh land for the Metro, rather than prefer a debate over the changed law, in the Assembly. The opposition has also failed to protest this undemocratic move. Lalbagh and Lakshman Rao Park on R.V.Road, (also called the AC Road, Nanda Road ), both major landmarks and heritage of Bangalore are being destroyed for the Metro. This when the High Court is hearing PIL over alternatives in Metro alignment. What seems like a minor portion of Lalbagh gone today will surely lead to greater portion of the park being taken away to create parking zones and malls that the Metro plans at its stations. When they sought clearance, Metro authorities claimed trees on Nanda Road will be pruned, and not felled. Now they want to cut 323 trees on Nanda Road(R.V.Road) alone. Posted in Activities, Announcement, City, Environment, Events, Government & Administration, Health, Heritage, Infrastructure, Namma Metro, Public Transport, Social Initiatives, Traditions | Comments Off on Human Chain Protest at Lalbagh Today, 6 pm. Brinjal, badanekayi, is the king of vegetables which comes with its own crown! This is an event that will celebrate the diversity of Brinjals and contemplate our role in protecting it. Good Food, Healthy Food, Safe Food… should be a primary concern of all of us. The Brinjal festival is an attempt to bring a better consciousness and respect for our rich diverse food. Genetically Modified (GM) food crops pose a grave threat to the diversity and to our health as consumers. Let us all make informed choices about food, one of most fundamental necessities. * Awareness campaign about GM foods and the risk to our health and environment. * Meet scientists, farmers, doctors and Ayurveda practitioners and some well known celebrities. To register for competitions, visit http://bangalore.aidindia.org/cms/?q=brinjalMela. 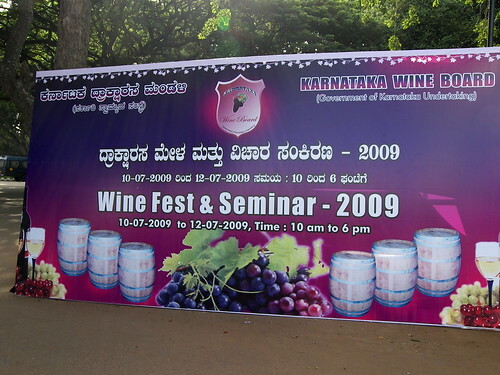 Posted in Activities, Announcement, City, Eating Out, Environment, Festival, Food & Drink, Government & Administration, Health | Comments Off on Brinjal Festival at Lalbagh! 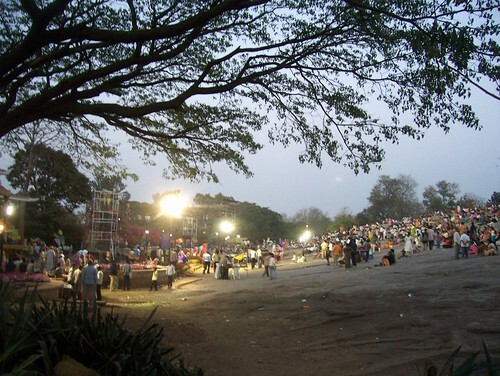 More than light, music and action of over 300 folk artists from 28 districts, classical elements and one concept – ‘the fight against casteism ’, that was the show at Lalbagh last evening taking the audience through a journey of human evolution with a depiction of the cause of the casteism. 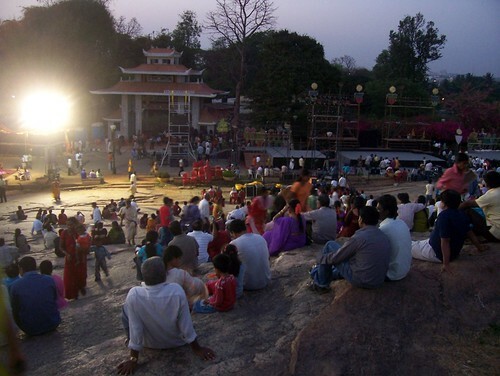 To help large Audience to enjoy the show it was seated on the huge rock face in Lalbagh …. The show organized by the department of Information is directed by Vishwakumar and scripted by K Ramaiahm- Lakshmipati Kola and K Y Narayanawamy and music was by Hamsalekha…. spread the word and join the bandwagon…. Let’s make it happen guys!!!! equal opportunity to use the roads. Just a simple peaceful ride! Be there and lets have fun and make a statement! Those who are interested to participate please turn up at the start point by 6.30pm. Just a quiet ride. And it’ll be fun. Hasiru Usiru, a network of community organisations, residents associations, project affected communities, voluntary organisations and individuals concerned about protecting equitable access to public spaces such as roads and parks in Bengaluru, invite you to participate in a Walk to Reclaim Bengaluru on November 9th 2008, at 11 am at Lalbagh West Gate. The key purpose is to highlight the extensive damage that road-widening and Metro projects are causing to the city, destroying in the process lives, livelihoods and thousands of trees. This walk is also to demand an inclusive planning process in shaping our city and ensuring that short-sighted, elite induced, infrastructure development, does not cause irreversible damage to the city and ruin the lives of thousands. Mercury levels have touched 35 deg Celsius, the summer heat makes it difficult to rest at home. Garden city comes to the rescue with huge parks / gardens for people to unwind and relax under the trees. 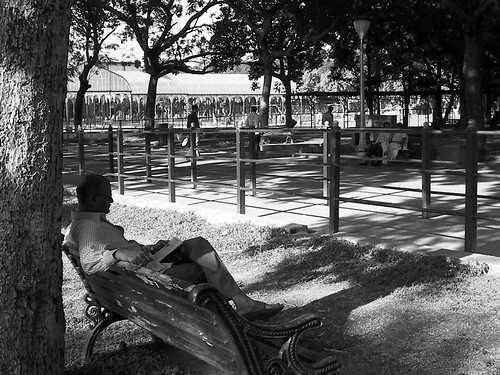 Here is a reader relaxing in lalbagh on a backdrop of glass house…. In the light of the recent spate of tree felling, it’s even more important in this scenario to at least preserve the existing parks and green spaces we have (or soon we won’t have much left). There’s a “Lets Nurture Lalbagh” cleaning and Awareness Program being held on March 16 morning. Do participate if you can! I don’t have details on the exact time yet and will update as soon as I get it. Here’s to women everywhere. I don’t say we are always the angels that all those internet forwards talk about; we are human, we have our vices and failings, too…but in general, it’s a sisterhood that I am proud to belong to, and here’s wishing for the day when each woman will be able to realize her full potential…..when gender will not be an issue worth discussing, and we don’t have to have a special Women’s Day, because every day will be one. Posted in Announcement, City, Crime, Government & Administration, Infrastructure, Public Transport, Uncategorized | Comments Off on International Women’s Day….